May 7, 2017 • 7:00pm - 9:00pm • FREE! 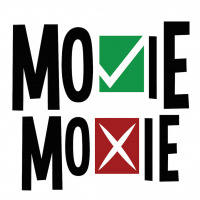 MOVIE MOXIE - Movie Trivia Game Show! Movie Moxie – prp. n. – The Highball's boozy and offbeat live movie trivia game show! If you’ve got a song in your heart and like a movie with a beat you can dance to, put on your boogie shoes and head down South Lamar because this July, The Highball’s alive with The Sound of Moxie! Music and musicals and everything song-related is fair game as we look as Hollywood classics, tuneful low-fi hits, concert films, rock docs, biopics, and other ear-pleasing contributions to cinema. Sing-along with our three teams of contestants and maybe win a prize as they’re asked about underrated entertainers, surprising musical moments, and musicians who try their hand at acting. At 7pm on Saturday, July 28th, our hosts will be sayin’ “mamma mia, here we go again” with another edition of Movie Moxie!